People Magazine did an article on "Nancy Taylor" before her passing in 2003. (Original article 2002, updated 9/23/16). Click Here! 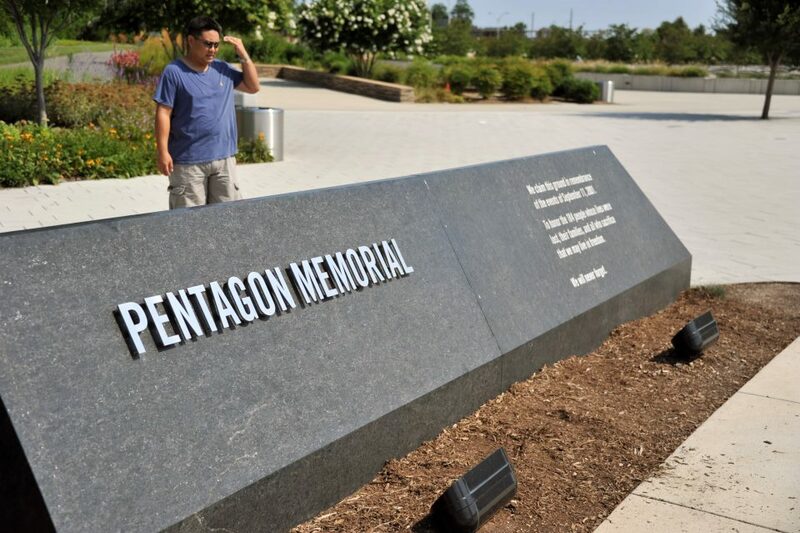 July 2012 newsletter cover about Pentagon Memorial visit. Click picture to see the PDF. As part of the 2012 Reunion a small tribute ceremony was held at Kip's Bench. Brats in attendance: Lee Angel '64, Marianna (Lieurance) Mounsey '50, Nancy Carpenter-spouse, ?, Paul Greer '72, Pam (Thurston) Moratzka '79, Danica (Charlton) Lehner '82, Jeri (Polansky) Glass '72, ?, Wanona Greer-spouse, Ralph Ryan '72, Katrin (Lindroth) Planz '71, Cathy (Coats) Kelton '73, Toni (Yarbrough) Combs '71, and Sam Kelton-spouse. As fate would have it, General Maude's daughter ended up being our Docent for the day. Kip was Lt. General Maude's aide (he too was killed). 2nd pic from above. Click on the photos for larger resolution. 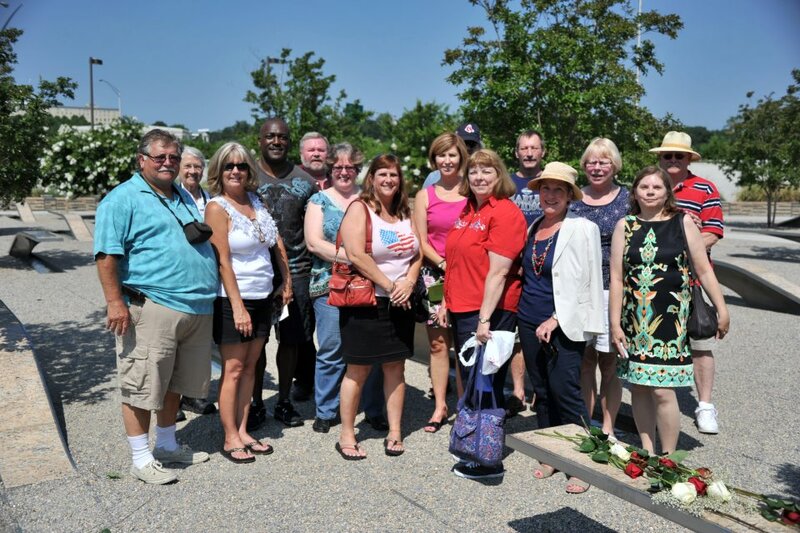 Several BERLIN Brats gathered at the Pentagon Memorial to pay tribute to those lost on 9/11. 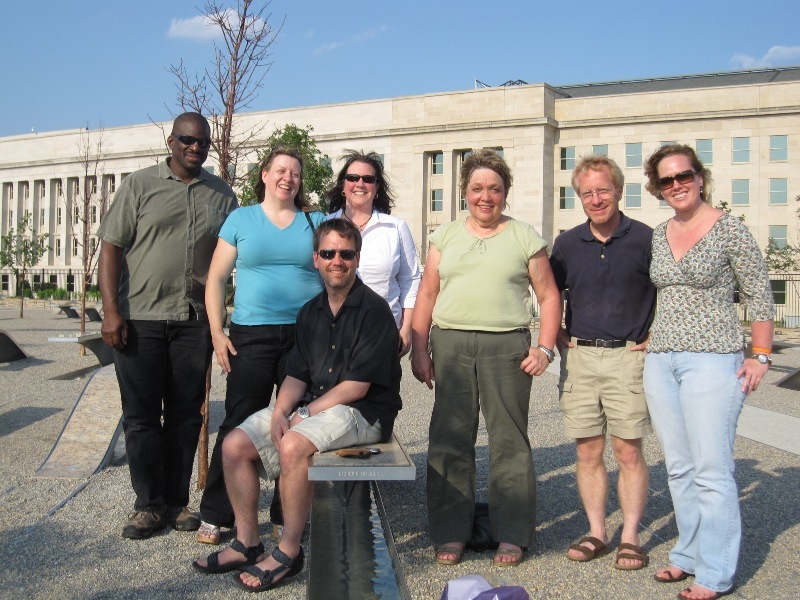 Joe Robinson, Tina Burhans-Robinson '79, Larry Speer '83, Susan (Sams) O'Neill '85, Lorraine Combs FAC '82-'83, Marvin Lindroth '75, Cate Speer' 85. Click on the photos for larger resolution. 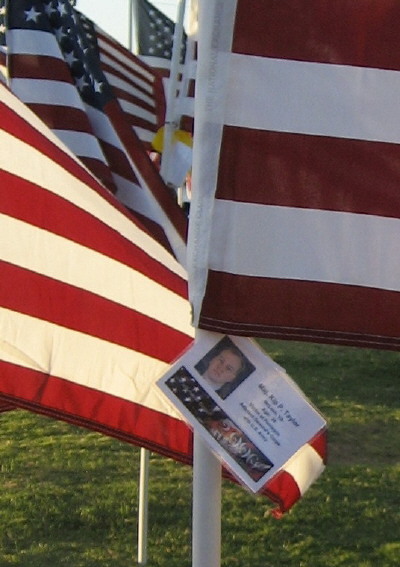 Tom Ott '79 and his daughter visited Kip's memorial at the Healing Field in Tempe, AZ and took this photo of his flag. Click here for larger resolution. 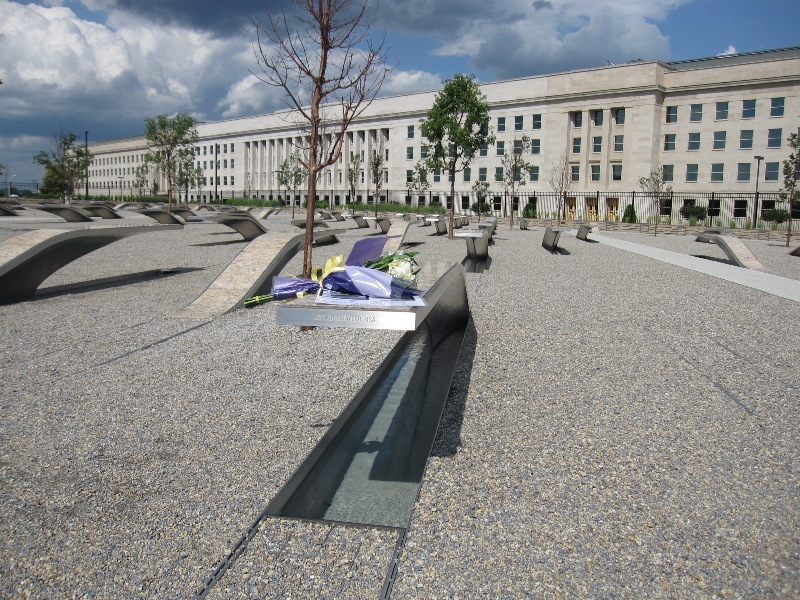 Kip Taylor '81 was killed in the attack on the Pentagon on 11 September 2001 where he was serving our country as a promotable Major in the U.S. Army. He was posthumously promoted to Lieutenant Colonel. Kip was survived by his wife, Nancy and 2 year old son Dean. Nancy was 8 months pregnant at the time. Six weeks after Kip's death Nancy gave birth to Luke. At the time of her delivery doctors discovered Nancy had terminal cancer. Nancy has since passed on 18 November 2003 and has been laid to rest with Kip at Arlington National Cemetery. 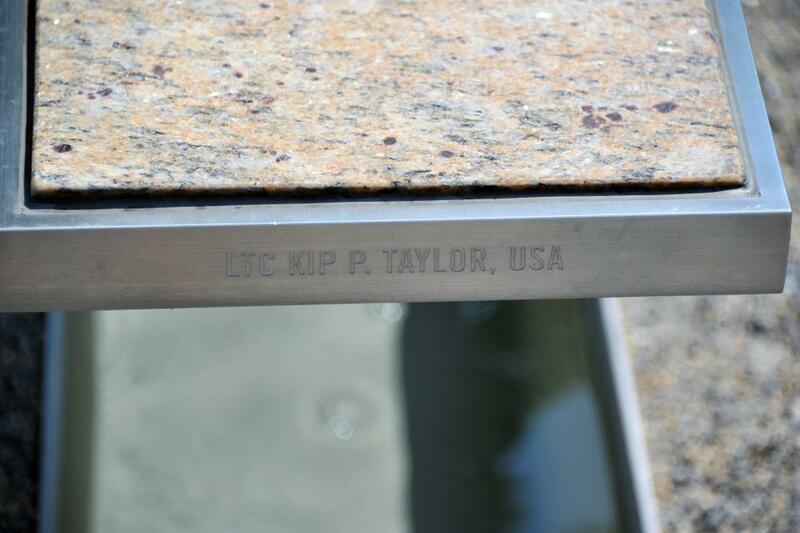 Kip's brother, Dean Taylor '79, is also serving our country as a Lieutenant Colonel. Dean and his wife have adopted and are now raising Kip and Nancy's two sons. The BERLIN Brats established a Kip Taylor Memorial Fund at the American Overseas School Historical Society (AOSHS) soon after 9-11. 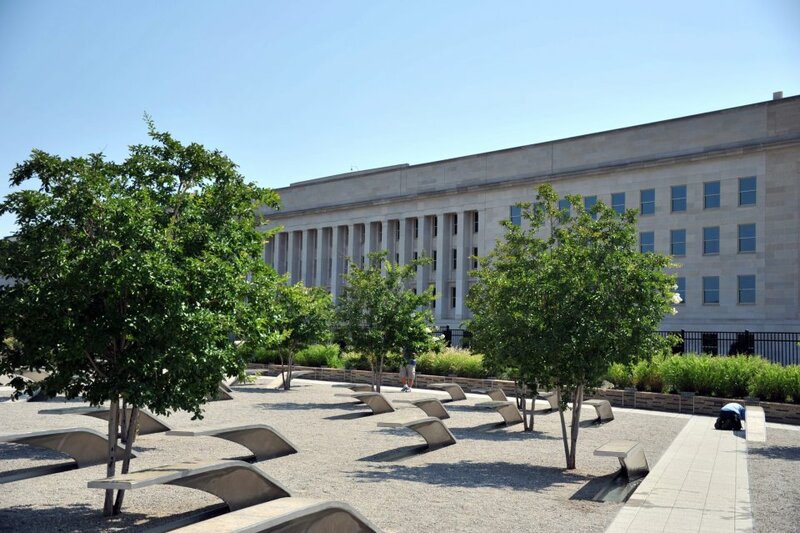 This fund will finance the purchase of a granite paver, measuring 16" X 16" to be located on the grounds of the American Overseas School Historical Park in Wichita, Kansas when the Museum, Archives and Visitor's center is built. Click here to go to AOSHS at www.aoshs.org. Then click on "Memorial Program" then "Memorial Kiosk" then "Interactive Kiosk" then "T" for Taylor to learn about Kip's personal paver. The cost of the paver was $1,000. 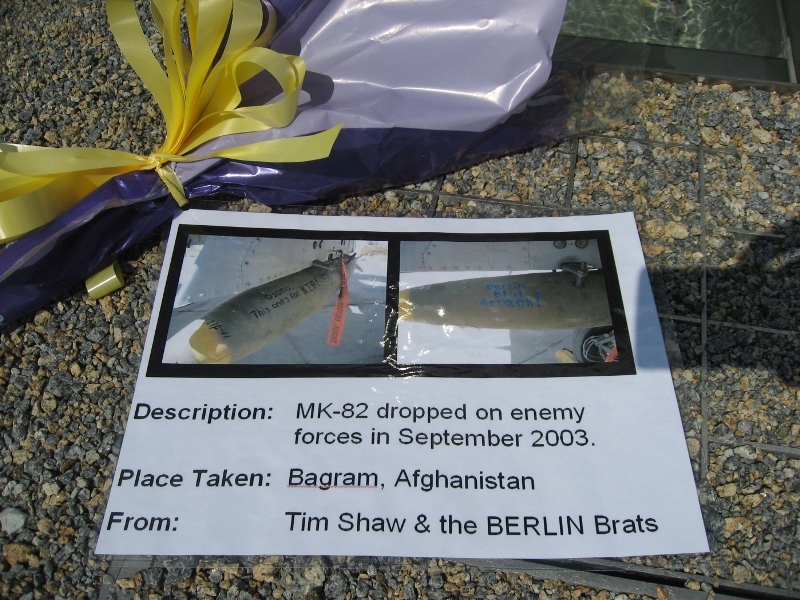 The BERLIN Brats opened the "memorial fund" with the initial contribution of $100. The balance of contributions came from individual donations from his fellow alumni. Kip and Nancy have a joint marker off "Patton's Circle," section 64, plot 4877.